Thermtest is pleased to announce the latest product addition to our extensive lineup of TPS Thermal Conductivity Instruments, the Hot Disk Transient Plane Source TPS 2200. The TPS2200 Thermal Conductivity Instrument is designed for analyzing thermal transport properties of solids, liquids, paste and powders, including various sample geometries and measurement temperatures. The TPS 2200 joins the TPS 2500 and TPS 1500 platforms meeting the ISO standard ISO/DIS 22007-2.2. The TPS 2200 simultaneously determines thermal conductivity, thermal diffusivity and specific heat capacity from a single measurement, with limited emphasis on sample preparation. The operative simplicity of the TPS 2200 and trademark high accuracy and precision makes the instrument ideal for both R&D and QC applications. 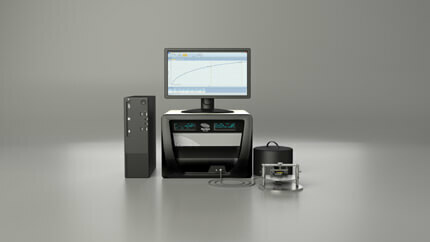 Optional software enables the TPS 2200 to be used for special applications that include the measurement of thin films, coatings or adhesive layers (Thin Films Module), high-conducting sheets or slabs (Slab Module), anisotropic samples or layered structures (Anisotropic Module) and the direct measurement of specific heat (Specific Heat Module) – important applications across a broad range of industries and academia.